YOUNG & ASSOCIATES, PA provided complete land development and civil engineering services for the Derby School District’s newest middle school. 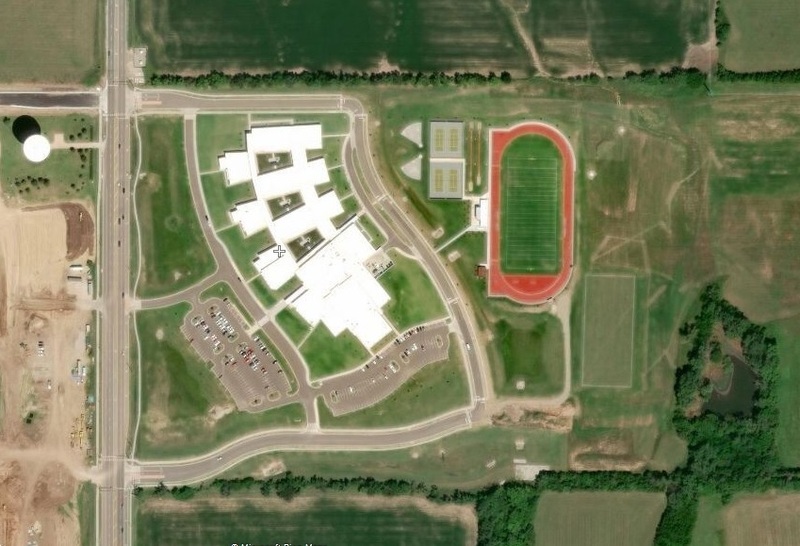 The project included conceptualizing the development of an 80-acre tract into lots, public streets and drainage reserves for a new 170,000 SF middle school. Y&A engineers provided preliminary design, public utility analysis and cost estimating for extending water and sanitary sewer to serve the proposed building site. Traffic impact studies were also performed for two proposed arterial intersections along Rock Road. Y&A engineers developed alternative street, drainage and utility layouts to maximize construction efficiency while minimizing long-term maintenance and operating costs. Y&A also assisted the District in evaluating vehicle, bus and pedestrian traffic to ensure safe and effective access to the new middle school. The resulting development was completed under budget and on-time, and stands as one of the highest functioning school facilities in the City of Derby.